The animals are also full of emotions and feelings like the humans and to explore them we have to spend time with them. They love, they care, cries, feel happy like us and those who have pets know and understand these sentiments very well. And they would show up their emotions well when they are physically fit and healthy which largely depends on the comfort sleep hours. 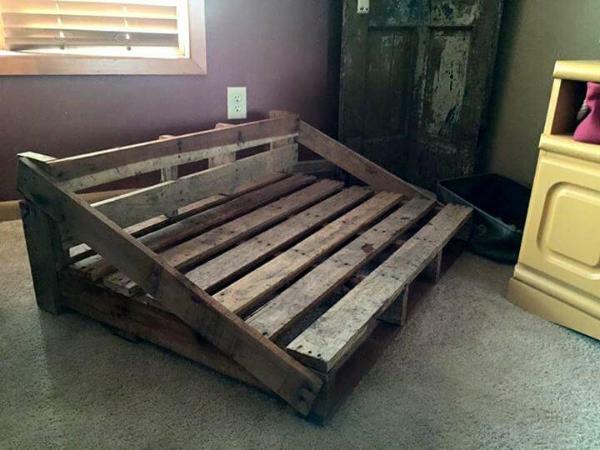 So all the pet lovers come here and see this DIY & rustic pallet dog bed that has been installed from the recycled pallets so that you can provide your dear fluffy fellow a relaxing, sleeping and resting spot of their own. This dog bed is really a unique and stylish piece than the previous ones having a little raised headboard piece and the angled arms at both sides. 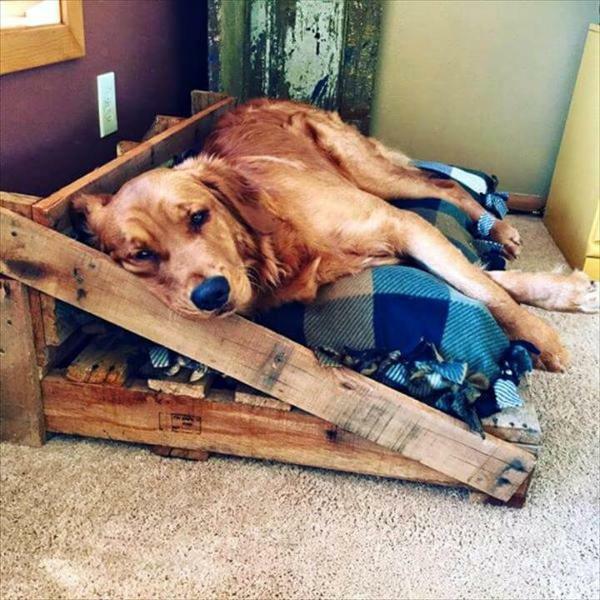 The whole pallet dog bed structure has been made from the pallet slats being stacked together with nails and screws. Keeping it unfinished with the marks and tints visible really makes it look a rustic beauty piece for your home décor. 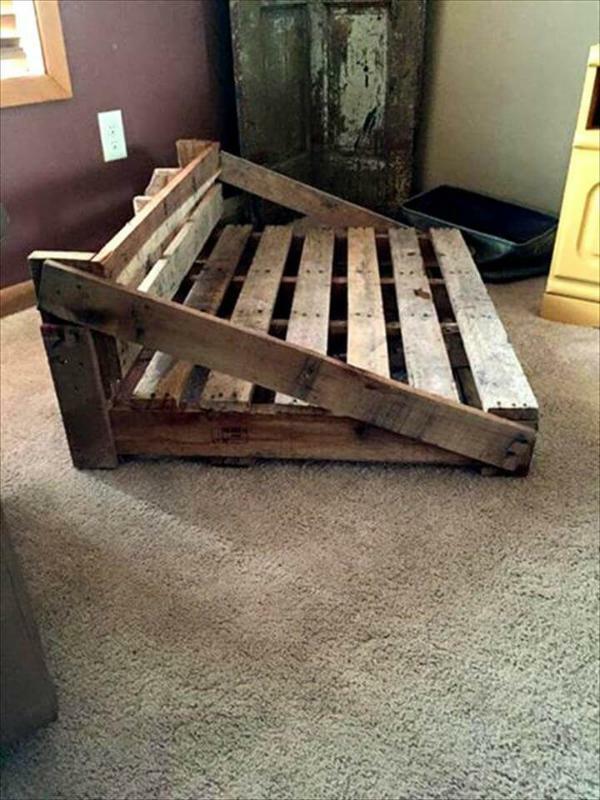 This dog bed is large in size and shape and thus it hints to be used by the elder dogs at your homes and being made from the recycled pallets it would be cost free to make at home yourself. The bed has a simple platform, crossing arms and the little raised back having been made from the double face pallet skid, planks an slats respectively having been packed to each other using the nails. This dog bed has not been stained or painted but only sanded and thus looks really a rustic piece at the end and would nicely suit and match your home decor with its rustic woody appeal and texture.